–Tom Young, author of The Mullah’s Storm, Silent Enemy, The Renegades, and The Warriors. GREAT NEWS! 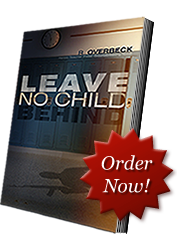 LEAVE NO CHILD BEHIND has earned the SILVER AWARD for 2011 THRILLER OF THE YEAR from READERSFAVORITE.COM! !